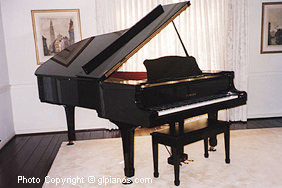 Piano Wholesaler, Yamaha, Steinway, Kawai, Pearl River, Baldwin, Disklavier, PianoDisc, Pianomation - Best Prices in Los Angeles. Welcome to The Piano Warehouse! We offer Straight Forward Pricing on the Best Brands for less - everyday! Unlike piano stores our inventory is streamlined as we offer only the most popular names and Don't Sell Old Trade-ins & Worn Out Rentals. In addition, we don't inflate our prices to give people the illusion that they are getting a huge discount. 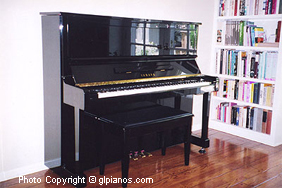 Our clients KNOW they have bought a great piano at a great price! 100% Satisfaction - Guaranteed! Discount Coupons/Certificates, The Buy-Back Guarantee, The Low Price Guarantee, Institutional/College Sales (which are all piano store sales), NAMM Show Specials (which many stores have), and the year long Going out of Business Sale (only to open at another location or change the name of the store and then have a Grand Opening Sale). 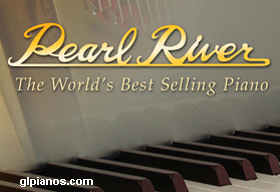 Quality Pianos from Entry Level to High-End! Uprights from $3,100 & Baby Grands from $5,490! Highly Recommended by Industry Pros! Expert Advice and Great Client Service! Same Warranties as any Piano Store! Shop around First, make us Last, see the Savings! We are a real warehouse! Here is a short video of our original piano warehouse. 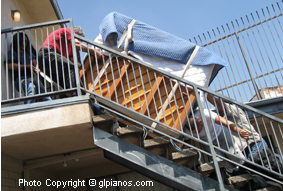 I shot this on the spur of the moment (September 2008), to show the quality of the pianos that we sell. Our business model is better! We don't have a store front overhead, expensive showroom and there is no sales staff. Feel free to call us as our inventory is always changing. We may have the right piano for you at an unbeatable price that traditional piano stores can't compete with. Update 2011 - Since shooting the above video 'The Piano Warehouse' has now moved to a bigger warehouse location. 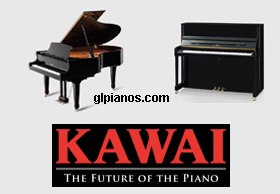 Click on any of the 6 categories below to view pianos, etc. I sold to a recording studio on the second floor. 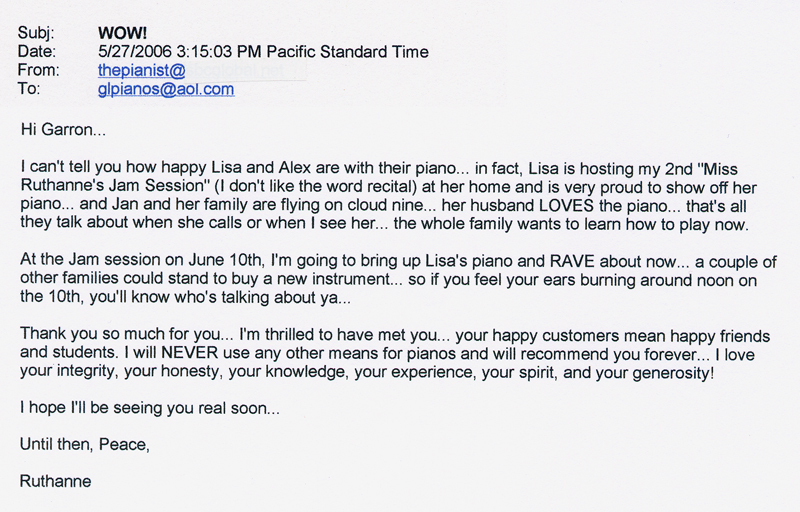 Selling your piano? We buy pianos for CASH! Thinking about Consignment? It can literally take Months or even Years and many people do not get what they were originally promised! With us you get Fast Cash on the spot and we pay more than most pianos stores. 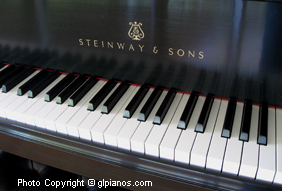 The ONLY name brands we buy are: Steinway and Yamaha. that I do not endorse the use of new ivory on any new or reconditioned piano (or anywhere else). extinction, not to mention the horrendous way that poachers remove ivory from living animals. new ivory and further supports a ban on all ivory trade.